Let’s face it: it’s easy for a luxury automaker to take one of their sedans and merely place a “sport” label on it in order to just check off a box. No offense to any manufacturers out there, but in Alfa Romeo’s opinion, that’s detrimental to brand standards. It shouldn’t be a surprise that the automaker takes somewhat of a hard line approach to this. After all, Alfa Romeo’s roots trace back to Italian race cars. They take performance and sport seriously because it’s literally in their DNA. So, a couple of years ago when Alfa released the Giulia sport sedan to announce their triumphant return to the North American market, long-time enthusiasts knew they could count on a few things. For starters, the exterior style of the car would literally be stunning. Second, there would be an incredibly powerful engine under the hood of the Giulia. Finally, the suspension, steering, and braking components of the Giulia would all be performance enhanced. For its second model year iteration, the automaker has added even more performance and features to the 2018 Giulia lineup. You can now choose from five different Giulia models for 2018: Giulia, Giulia Sport, Giulia Ti, Giulia Ti Lusso, and Giulia Ti Sport. There is also an ultra-high-performance version of the Giulia available in the form of the Quadrifoglio. The 2018 Giulia Quadrifoglio sports custom exterior enhancements and a Ferrari-inspired 2.9L V6 engine that delivers a staggering 505 horsepower. If you’re looking for a life changing experience from your Alfa Romeo Giulia, the Quadrifoglio is definitely the option you need to consider. Sure, it’s the priciest model in the lineup, but it’s worth every penny and then some. Reading about the 2018 Giulia is one thing, but it doesn’t even come close to capturing the essence of this sport sedan. For that, we highly recommend you visit our Alfa Romeo dealership near Arlington and Dulles to take a test drive. Once you step inside the Giulia, grab the wheel, and rev the engine – you’ll understand what all the fuss is about. Our product specialists at Alfa Romeo of Tysons Corner are ready to go over all the features on the 2018 Giulia and will also give you the lowdown on our purchase and lease specials. Every month, we take factory incentives and combine them with our own savings programs in order to provide competitive values on all our new Alfa Romeo models. Shop online, pick out the new model you want, and then come see us at our dealership located at 8448 Leesburg Pike Unit A Vienna, VA 22182. After all this talk about the performance features of the 2018 Giulia, you might be wondering if Alfa Romeo overlooked interior comfort and technology options. Nothing could be further from the truth. In fact, the 2018 Giulia offers a wealth of technology including an 8.8-inch widescreen color display featuring Apple CarPlay and Android Auto capability. There are also driver assistance technology options like forward collision warning system and rear park assist system available. The 2018 Alfa Romeo Giulia is powered under the hood by a standard 2.0L turbocharged engine that is capable of producing 280 horsepower and 306 lb-ft torque. The sport sedan is also available with a Q4 all-wheel drive system that “transfers up to 60% of its engine’s torque to the front axle to achieve even more all-season traction and performance capability” according to Alfa Romeo’s website. Why Purchase or Lease Alfa Romeo at our Vienna, VA Dealership? You’ll find the complete line of new Alfa Romeo models along with purchase and lease specials when you shop at our Vienna, VA auto dealership. 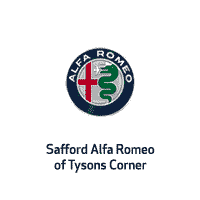 Let Alfa Romeo of Tysons Corner introduce you to the premium performance and luxury of the Alfa Romeo brand. We can virtually guarantee that once you get inside the 2018 Giulia, you’ll want to take it home and make it yours.